What Is a Melamine-Constructed Reception Desk, and What Do You Need to Know About It? A melamine reception desk is made from low-density laminate boards. These boards are created by using particle boards as substrates. They are processed using low pressure and heat that melts a melamine/formaldehyde material onto the boards. The boards end up with a semi-durable, plastic-like coating that comes pre-formed in an array of colors, many that are made to look like wood. This is known in the industry as low-density laminate: low-density because the amount of pressure applied is much lower than high-pressure laminate. Melamine reception desks are constructed from these manufactured wood-like substrates. What the melamine coating does is give your reception desk a bit more durability on the surface than at the level of its core material. In addition to adding a bit of durability to the surface, the coating makes the surface more attractive by virtue of color. Low cost. A melamine desk can make a good entry-level/starter reception desk, or temporary solution for your entryway. Water-resistant. The plastic-like coating allows the surface to repel water. Variety. It comes in many colors and wood lookalikes, so finding basic colors is relatively easy. Easy to work with. For reception-desk buyers, this may not matter; just know that it’s available and less labor-intensive, which lowers cost. The melamine coating itself (on the surface) may be water-resistant, but the core (beneath the surface) is not. Water or moisture that makes its way to the core will make it swell. Edges that are not properly cared for could result in chipping or cracking. 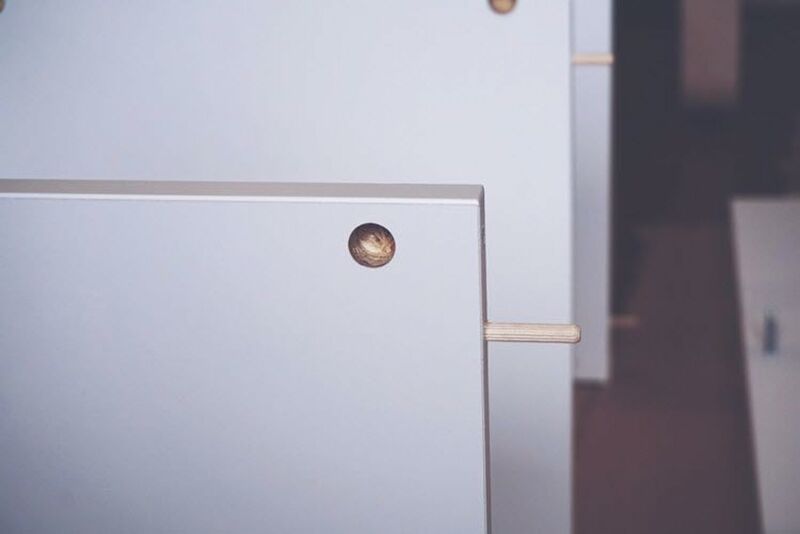 Care needs to be exercised when pushing, pulling, or moving your melamine reception desk, because fasteners are being held by small pieces of wood that are pressed together. Too much stress will cause the connections to give way, leaving you with a broken reception desk. Much of the reception-desk furniture in the marketplace is made from melamine or lower-grade materials. Approach your reception desk purchase with the end in mind. Don’t buy it just because it’s low-priced. Buy it if it suits your budget and short-term plans. Reception furniture is bought for a variety of reasons; make sure the furniture you select works for your business, not the other way around.